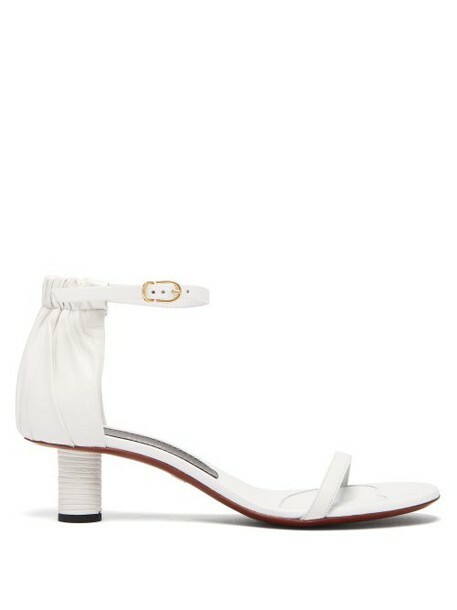 Proenza Schouler - Proenza Schouler's white sandals from the SS19 collection are an artful interpretation of classic silhouettes. They're crafted from smooth leather, set on a wrapped cylindrical heel with a ruched heel panel for an unexpected flourish. Echo the gathered detailing by wearing them with a sculptural ensemble for a modern everyday edit.